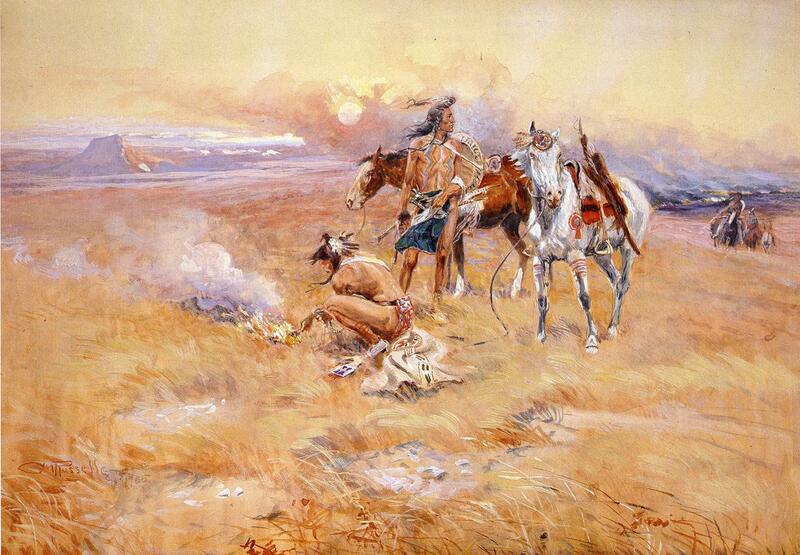 The fire management plan carried out by the Native Americans was clearly intended to support a “movable feast” as peoples and large game herbivores, especially bison, migrated over the Great Plains in response to conflict, drought, extreme cold and other adverse conditions. Though most of the area is currently under agricultural use, the unique aspects of what remains of the grasslands of Central North America are threatened by encroachment of less palatable woody plants (trees and shrubs) when fire and herbivory are excluded. Although fire may be highly effective at preventing woody seedling recruitment, it turns out some shrubs and trees have found a “work around” that enable them to spread their branches in the prairie sun. In the research paper “Positive feedbacks amplify rates of woody encroachment in mesic tallgrass prairie” (Ratajczak et al. 2011) investigators found that the dominant woody invader roughleaf dogwood (Cornus drummondii) reproduces vegetatively, cloning itself by spreading underground rhizomes into open grasslands. Once established, the shrub modifies its environment two ways that help secure its presence and continue its invasion of prairies grasslands: (1) C. drummondii taps deeper soil moisture compared to grasses, thereby out-competing shallower-rooted grasses for water and (2) shading out grasses lessens the fuel load at the shrub-grass interface, lessening the severity of prairie fires. These pro-shrub processes operate best in depressions, stream valleys and swales. Higher topographic positions typically remain too dry for the shrubs. Reading the article, I was somewhat surprised that the dogwood shrubs could send roots deeper than prairie grasses, which are “famous” for being deep-rooted. To support the claim, however, the research team used stable isotope analysis to compare water uptake in grasses vs. shrubs. They found that the dogwood were accessing deeper soil moisture as evidenced by higher oxygen-18 concentrations in water extracted from shrub leaves, compared to grasses. For more background on the use of stable isotope analysis in ecological and hydrologic studies, including the significance of SMOW and the Pee Dee Belemnite, Carleton University posts A primer on stable isotope analysis and some common uses in hydrology. As these shrubs extend their range in prairie grasslands and utilize deeper soil moisture, to what extent will they alter current patterns of watershed hydrology? It seems reasonable to expect some changes in streamflow, particularly reductions in base flow, and further significant feedbacks.